Todd Richards was interested in two things when he moved to Atlanta in 1991: songwriting and physics. But two years into his undergraduate studies at Georgia Tech, the Chicago-native found himself yearning for something more fulfilling — until he got a job in the meat department at Kroger. 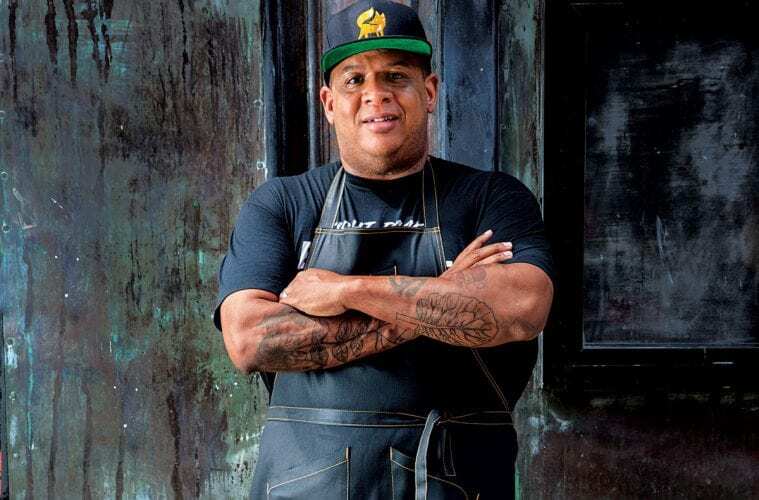 After paying his dues as a line cook at the Blue Ribbon Grill, Richards was referred to Chef Daryl Evans, then-executive chef at the Four Seasons Hotel Atlanta. The mentorship proved foundational to Richards’ understanding of food as an art form that should please all five senses and be presented in spectacular fashion because, as Evans liked to say, “people eat with their eyes first.” Culinary directorships at The Ritz-Carlton and One Flew South followed for Richards, as did two James Beard nominations for Best Chef in the Southeast. His mettle was also tested on Iron Chef as a competitor. 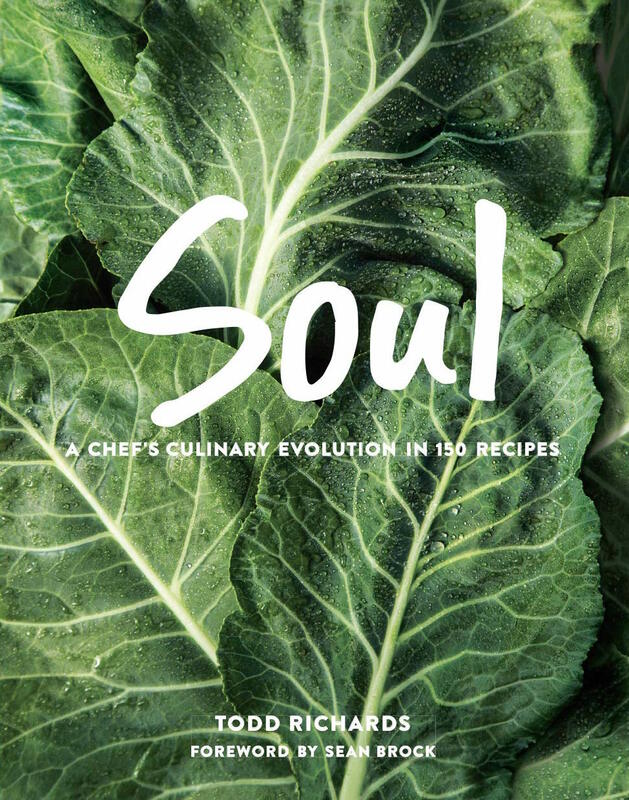 Now, the self-taught chef has added another title to his resume as the author of SOUL: A Chef’s Culinary Evolution in 150 Recipes. Richards will discuss his book at the Atlanta History Center this Thursday, November 29, at 7 p.m. SOUL traces the journey of ingredients and cooking techniques that originated in West Africa and were brought to the American South via the transcontinental slave trade, and follows the cuisine’s great migration to the Northeast, Midwest and West Coast. 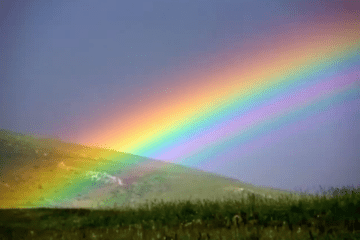 The primarily vegetable-based dishes are supplemented by bedrock ingredients like seafood, poultry and meat in over 150 recipes and photographs — including Blue Crab, Apple and Horseradish Salad; Blueberry-Sweet Tea-Brined Chicken Thighs; and Hot-Chicken-Style Country-Fried Lamb Steak. 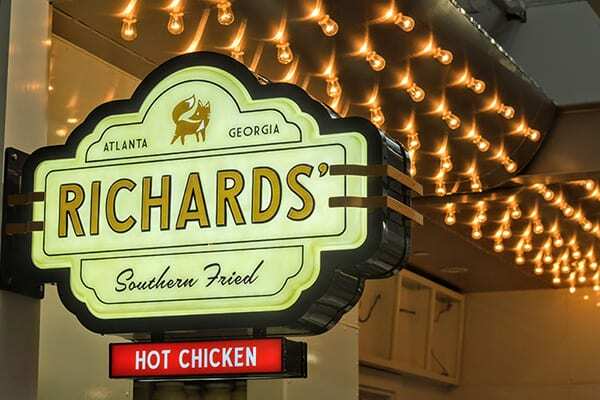 Original recipes for Peaches and Pimento Cheese; Strawberry Rum Cooler; and Fried Blueberry Pie show off Richards’ taste for modern flavor combinations. 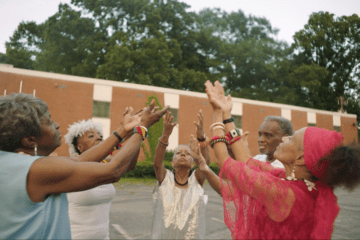 First and foremost, SOUL is an homage to the lessons imparted by Richards’ mother and father, who taught him that the unspoken rule of hospitality was to approach food with a kind heart and gratitude. 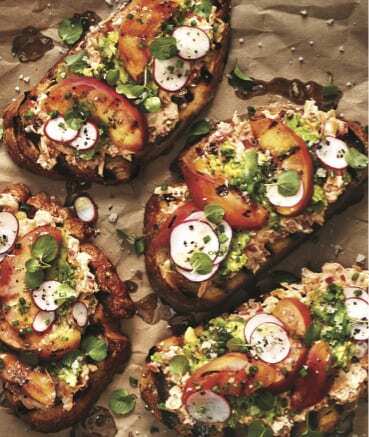 Grilled Peach Toast with Pimiento Cheese from Todd Richards’ book SOUL. Richards’ recipe for Pickled Collard Green Stems was inspired by his father’s refusal to toss what less-imaginative cooks regarded as table scraps. But if frugality was the father of invention in Willis’s case, Valoria’s love of Chinese cuisine inspired her son’s curiosity and desire to incorporate far-flung flavors and cultures in culinary fusions like his Collard Green Ramen dish. His parents’ gratitude for the hands that planted and harvested the foods they ate informed their son’s sensitivity to give thanks for every link on the food chain. Richards is a self-described introvert who wears his heart on his sleeve. Inked radishes and a life-sized collard green leaf vie for space with what he calls the oven tattoos on his forearms. And though he jokes that chefs are nothing but musicians who never made it, the 45-rpm adapter etched on his left arm attests to his undying first love. Chef Todd Richards will give a book talk about SOUL: A Chef’s Culinary Evolution in 150 Recipes at the Atlanta History Center on Thursday, November 29, at 7 p.m.